Securing land development approvals for your project is frequently a long and arduous process. The stakes are too high to invest tens of thousands of dollars into a plan, only to determine it won’t work. It’s crucial to conduct a very thorough analysis during due diligence to identify all of a projects inherent risks and help create a successful path to approvals. Spending a little extra time and money upfront can and will significantly improve your ROI. So, how do you get started? The first step is to develop a comprehensive approval strategy with input from your entire team that sets the foundation for meeting with local municipal officials. Identify potential zoning relief needed, cost of site improvements, etc. Being fully prepared prior to meeting with the municipality and anticipating their concerns will make the meeting much more productive. Time and again, these meetings have proved beneficial to shortening the land development approval process. 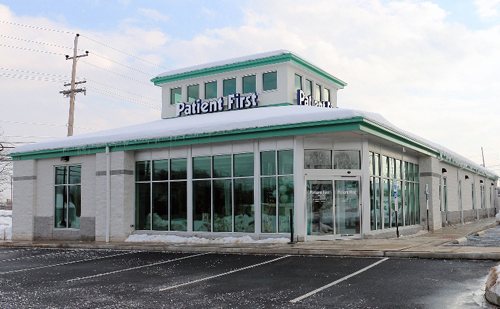 For the new Patient First Neighborhood Medical Center in Pottstown, PA, we were able to secure Borough approval in 32 days and all entitlements in less than 60 days. Collaboration with Borough staff, Planning Commission and Borough Council members helped the Patient First team transform a once vacant building into a ‘state of the art’ medical facility. Along with the new building, parking, landscaping and lighting, Patient First will also provide 50 new jobs within the Borough which is welcome news. Patient First offers walk-in, urgent and primary care, 365 days a year. This is their tenth Pennsylvania facility. Nave Newell initially worked with Patient First and The Wright Group on the Montgomeryville location, which opened in November 2012.